One of the easiest ways to protect your home from burglary is to lock all doors, windows, and the garage door. Get in the habit of doing this when you leave the house and while sleeping. Also, start locking doors even when you are home during the day. 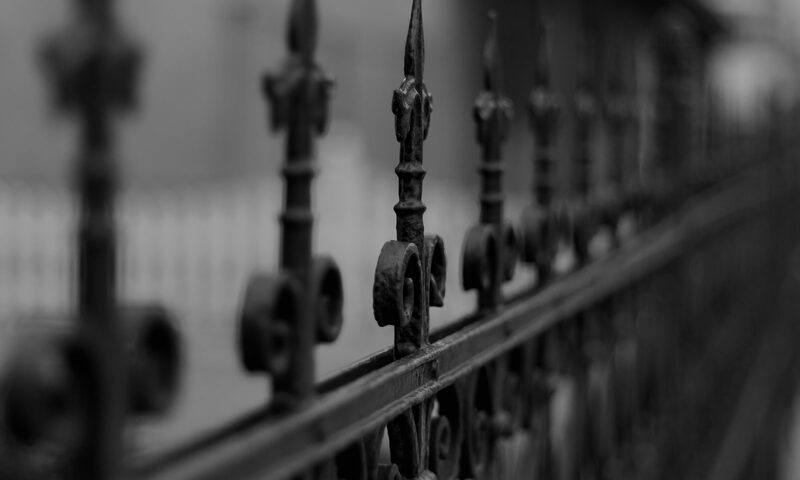 Install a dead-bolt and/or a secondary locking system on doors that lead outside. This is on of the best ways to secure a door from the inside. Remember that patio doors with glass panels can be especially vulnerable. Consider securing your home by installing double-cylinder locks where you need a key to unlock both sides. This prevents a burglar from entering your home by breaking the glass next to the lock. Also, insert a board at the bottom of the door, to prevent the door from sliding. Be suspicious of anyone who asks to enter your home for any type of “maintenance” reason. There are numerous cases of impersonating electricians or gas line inspectors who turn out to be dangerous. Demand to see an official company ID and don’t be afraid to deny entry if something doesn’t seem right. Install peepholes or a wide angle door viewer in your doors. Do not open the door without looking through the viewer. Most importantly teach young children to never open the door without a parent present. Another great way to secure your home is to replace burned out light bulbs quickly. Thieves like homes with inadequate lighting. For additional security, consider incorporating lighting into your landscaping including motion detection lighting. 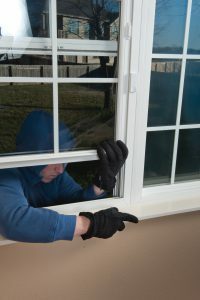 You can also protect your home from burglars by keeping trees and shrubs around doorways, windows and porches trimmed. The bushes that provide privacy also give burglars a place to hide. Dense shrubs can even make for a makeshift ladder, helping a thief into your home through a window. Work with others to protect your home by getting involved in a neighborhood watch group. Local police departments can provide you with information on how to establish a watch group in your neighborhood. Make sure neighbors have your phone number and you have theirs in case of suspicious activity. Consider installing a security alarm system. Many home security alarm systems will alert you right away if your system’s status changes. They can even alert the authorities for you. Use a random timer that automatically changes what time your lights go on and off each night. Lighting patterns that vary appear more natural. Ask a neighbor to park his or her car in your driveway. Keep expensive items out of view from the yard or the street. Have your mail and newspapers picked up by a neighbor or held at the post office. Ask a neighbor to check for any packages that might be left by FedEx or UPS. A package sitting on a front porch for a few days is a good indicator no one is home. Ask your neighbors to call the police if they notice any suspicious activity. Leave a phone number where you can be reached in case of an emergency. If you have a modern security alarm system installed you can likely get status changes on your smartphone. Some security systems allow you to see live video of what is happening at home. This mean you can take action right away. Get more home security tips or learn about home security options from the experts at Moon Security. I appreciate your suggestion about getting involved with a neighborhood watch group to ensure that your community is safe. Installing a home security system seems like the best way to protect your home from any trouble. If I were to buy a home security system, I would do some research to determine the best company to work with in my area.